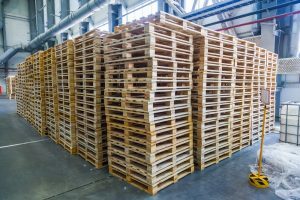 Have you heard of the United Pallet Network (UPN)? If you deliver goods up-and-down the country, the answer should be yes. The UPN is a large group of pallet delivery companies who, essentially, work together – striving to provide the best possible palletised freight service for their customers. Here at Graylaw, we are incredibly proud to be a key founding member of this pallet network. We have worked in collaboration with the UPN for many years and, in the following blog, we explore exactly how it works and how our UPN membership can be of benefit to you and your business. How does the United Pallet Network work? The UPN is based on a very simple process. Pallets are first collected by a local haulier (i.e. a member of the network). If they require delivery in the local area, there’s no need to use the pallet network. However, if they need to be delivered further afield, they are transported to the UPN national hub. Here, the pallets are sorted via postcode. All those that are intended for the same destination are loaded onto the same lorry and taken to the local depot in that area. From here, they can be picked up by local hauliers and delivered – quickly and professionally – to their final destination. What are the benefits of using the United Pallet Network? The UPN offers a range of fast pallet delivery services, including priority next day and standard delivery across the length and breadth of the country. As a member, we can take your parcel outside of the local area and deliver it to any location in the UK – and it will arrive within 24-48 hours. Once they have been sorted at the UPN national hub, pallets destined for the same place are consolidated. This means they are grouped together and placed on the same lorry. Your pallets will travel with those of two or three other companies and, as such, costs can be kept to a minimum. In 2008, the UPN introduced the first ‘real-time’ signature capture system to their pallet delivery services. They continually invest in the latest cutting-edge technology and, as such, you can ‘track-and-trace’ your consignment at all times and stay fully up-to-date with the progress of your delivery. Due to its central location in the Midlands, the UPN national hub is an ideal base-point for deliveries. All areas of the UK can be accessed quickly and easily and, thanks to the expert planning of members, road miles are kept to a minimum and the service is much more environmentally-friendly. It doesn’t matter where your business is based. By taking advantage of a palletised freight network, you can deliver your goods anywhere you wish – in the UK and beyond! The UPN currently delivers to 26 counties across Europe. It can significantly extend your reach and, as such, can help to facilitate both your business’s growth and long-term success. If you would like to find out more about the United Pallet Network and how our pallet delivery services could be of benefit to you, please feel free to contact us. Our team of experts demonstrate strong knowledge and experience in this area and they are happy to answer any of your questions. So why not call us today on 01695 729101 or send an email to info@graylaw.co.uk.